BEAR Data's Cloud channel will inform you of innovative cloud solutions that support disaster recovery, data backup, automated provisioning and scaling, advanced networking and more. Small and medium sized organizations are looking to the cloud to help maintain and grow their business. 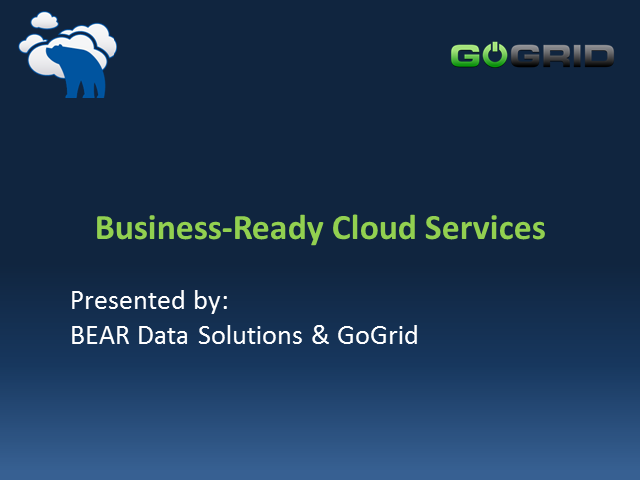 BEAR Data and GoGrid, two Bay Area cloud service providers, will talk about affordable cloud services fit for your storage, network and security infrastructure needs.